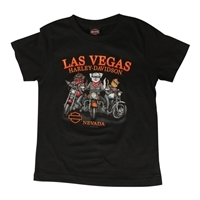 We have the perfect selection of kids Harley shirts that will excite and inspire the little one in your life. 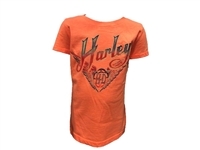 Our Harley-Davidson motorcycle shirts make excellent gifts or collectors' items. Set up a child to begin their motorcycle journey with a shirt from our online store. For questions related to our shirt offerings, or information needed to make a decision, feel free to reach out to us. We are on standby to deliver exceptional customer service and satisfy your needs.